When we talk about affordable suits, we usually mean suits costing less than $500. But while we all love a bargain, nobody wants to end up looking cheap. You also don’t want to spend your hard-earned dollars on poor quality garments that will show signs of wear too quickly. Any outfit is an investment, and I’m here to help you find a suit that’s good quality. Yet, still affordable. One of the major differences between expensive and affordable suits is that cheaper suits are made-to-measure. More expensive suits are bespoke, which means that they are cut to fit your exact measurements. Several fittings are needed during the process, and of course, this all adds to the cost. But don’t despair. If you’re average sized with a limited budget, you can certainly find something off-the-rack that’s affordable. Besides, it can make you look good too. Let’s be upfront and say that you’re not going to get a handmade suit for under $500. Therefore, your main priority will be to look for a well-fitting suit made from good quality fabric. Look for a suit that fits as well as possible, then spend a little more on having it altered for a perfect fit. 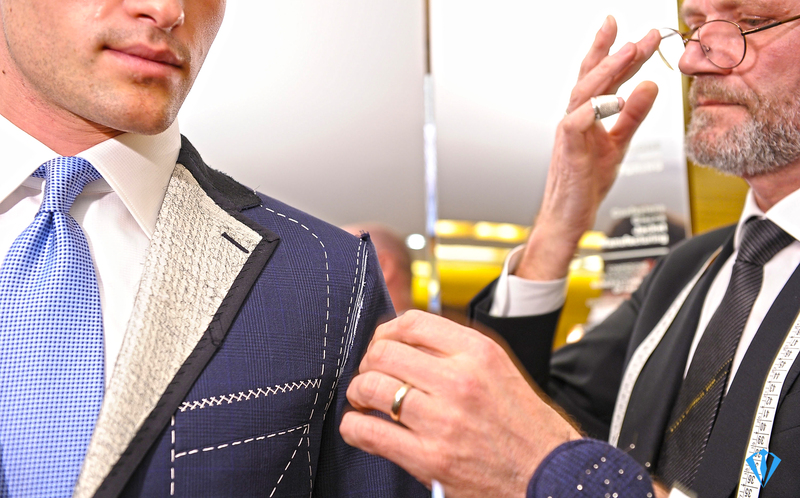 Even if you’re going to be buying a ready-to-wear suit, you should always get yourself properly measured by a tailor. You can then take these measurements to the store with you. 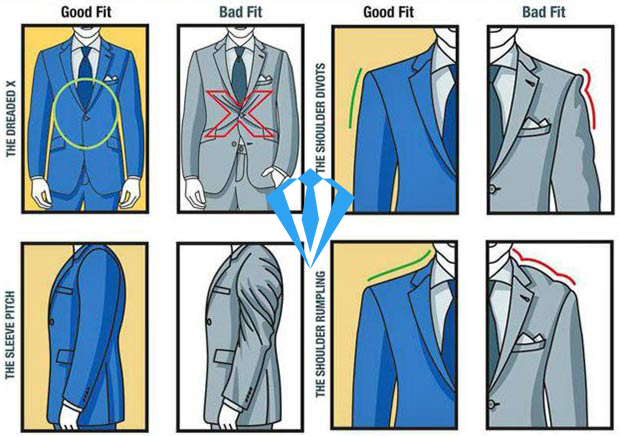 Buy something as close to the perfect fit as you can, then let a tailor carry out the final adjustments. The fit is critical, especially in the shoulders as these cannot be altered. The jacket should skim over your body without being baggy or feeling tight. Hug yourself and if you can feel the jacket pulling around the back then it’s too tight. Additionally, check for lines at the front when the jacket is buttoned as this is a sign that it’s too narrow for you. The trouser waist can always be made tighter, but make sure that the waistband is comfortable when you’re sitting down too. Have the hem adjusted so that the break falls just above your shoes. Identify the occasions you’re going to be wearing the suit the most. Is it for work, a wedding, or other one-off formal events? If it’s for work then it will have to be dry-cleaned regularly. This means you’ll need a quality fabric that can withstand wear and tear. Something for a one-off occasion is probably going to be cleaned once, then hang in your closet for the rest of the year. In that case, the fabric quality isn’t quite as crucial. Decide on the color and pattern you’re looking for before you go shopping. Besides, this will help narrow your options down. Very formal occasions will usually require a dark color like black or charcoal. 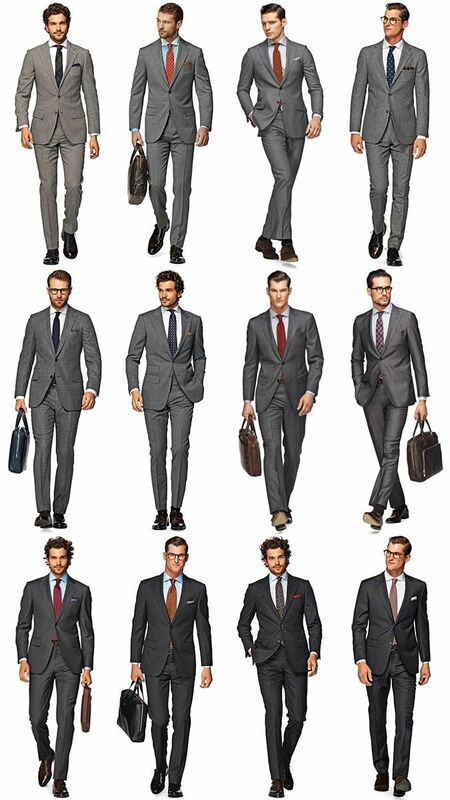 Everyday work suits can be navy or lighter greys. It also helps to know which season the suit is going to be worn. This will enable you to decide on the correct fabric for the weather. For instance, a summer suit will need to be cotton or linen, whereas a winter suit should be wool or tweed. 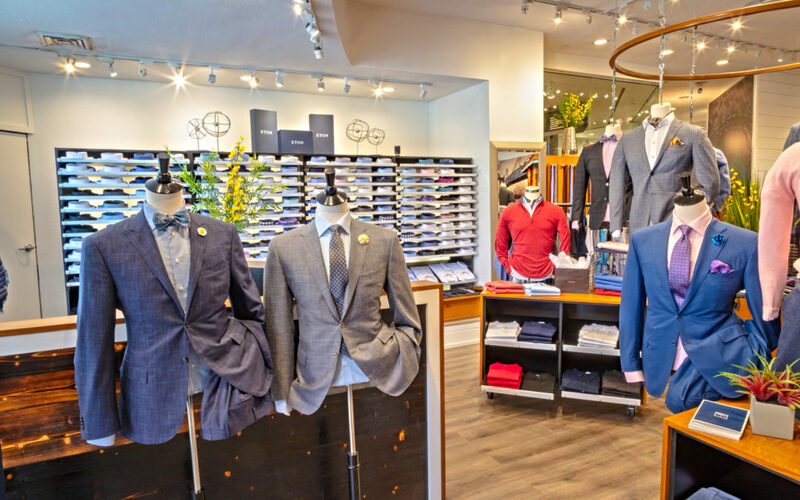 Make sure you set aside plenty of time to shop for your suit. It might be affordable, however, it’s still a big purchase and should not be bought in a rush. Take your time to try it on properly. Thus, keep your focus on quality fabrics and a good fit. It’s these two criteria that will make your suit look like the more expensive outfits. This is your entry level for suits. Believe it or not, it is possible to find something that looks decent for this price. However, keep your expectations fairly low. The main reason for a suit coming in at this price range is the fabric. They will usually be made of polyester, but try to find one that’s a poly-viscose blend. 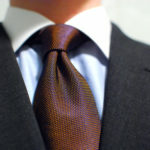 Hence, the viscose will immediately mean that it breathes better and has a bit of “give” to allow for better movement. In this price range, the suit will be constructed by fusing rather than by being stitched together. Consequently, this means that after being laundered a few times, it will deteriorate. However, if you’re not going to be wearing it often this shouldn’t be a concern. Affordable suits that are under $150 will not come with an overly generous cut. They’re usually made with a younger, trend following customer in mind. If you’re a slender build, you’re in luck because the slimmer cut of the cheaper suits will probably fit you well. If you need a bit more room, you can always opt for fabrics with a bit of stretch. If you can increase your budget to this bracket, it will make a big difference to the quality of your suit. And when you consider the difference is the cost of a dinner for two, it’s doable for most! Many affordable suits in this price range will be made in better fabrics, such as wool blends. The cut will be more tailored than trendy, with more roominess. If you don’t need the extra room, it still allows for the suit to be adjusted to fit you better. At this price, not only does the fabric improve, but also the way it’s constructed. Expect a finer stitch count and better linings. There will be more detailing too. At this price, you can expect to get a lot more bang for your buck. Investing in a suit in this price bracket will certainly pay off if you plan on wearing it more often. Plus, the length will be more generous and the proportions better. The cut will be more classic than trendy, and you’ll also be able to access better fabrics, such as pure wool, etc.. 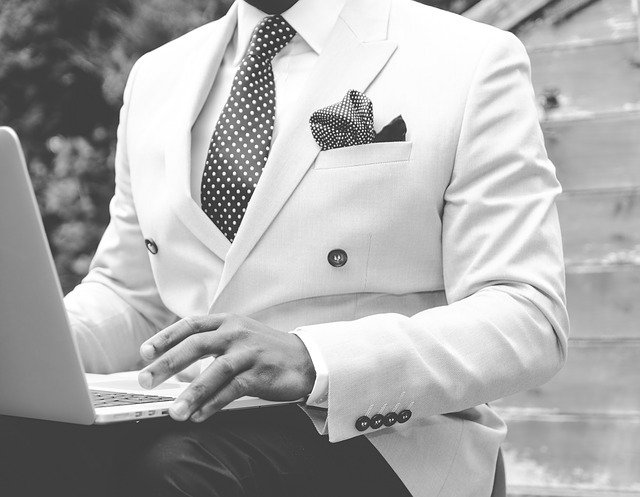 If you’re young and have just started working, it’s unlikely that you’ll be able to afford a high-end suit. At least, not yet. But you still want to look smart and professional, right? Well, we’ve got some great news. Even if you’re getting your suits off the rack there are some quality, affordable suits out there. You just need to know what to look for. Check out the following suit reviews to help you find ten of the best for when you don’t have time or money to waste. This suit can properly be classified as an extra-slim fit. It has a characteristic fabric (100% wool) for Calvin Klein, which allows high comfort and movement. If you want to take your office-wear to the next level, this suit is the right choice. The jacket features a notch lapel and has a two-button closure. The fit makes it slim through the chest and shoulders. The pants are straight and un-hemmed and can be tailored to your length. The waist is slimmed too, just like the hips and thighs. The suit fabric makes it ideal for an everyday suit, perfect for business and formal occasions. Wearing it on a wedding day will guarantee elegance and distinction from the others. Keep in mind that this is an extra-slim fit suit. If you are in-between numbers, you might want to choose the larger one. NOTE: Some options (size and color combination) for this suit might exceed 500$ and will not be classified as an affordable suit. The suit is really worth every penny of it. The fabric (81% polyester, 17% rayon and 2% spandex) is light-weighed and is really comfortable to wear. Although it’s labeled as a slim fit, it looks more like a traditional classic fit suit. The jacket features a two-button closure and a notch lapel. Pants are hemmed and fit well at the waist and seat. This suit really brings comfort to your everyday office-wear. Thus, you don’t have to be skinny to wear it. Perfect for everyday purposes, work, business or other formal events. It’s quite cheap but looks like a very expensive bespoke suit. This iconically designed American suit is made of very characteristic fabric (52% wool, 46% polyester and 2% spandex) for Tommy Hilfiger. The modern fit is something typical for the brand, positioning the suit somewhere between slim and classic fit. This suit has a stylish and modern appearance and is perfect for all seasons. The two-button closure and notch lapels on the jacket are combined with the eased shoulder and chest modern fit. The pants are upgraded with a gentle taper but are very comfortable and easy to wear. As I always recommend, visit a tailor to have your pants shortened and tapered perfectly for your size. The fabric provides a lot of comfort and movement. Thus, making this suit perfect for various business occasions, long working hours or other formal events. Additionally, you can wear this suit on weddings as well, making sure you will stand out from the crowd. The price is pretty much affordable for a Tommy Hilfiger suit. As a result, you get an excellent price versus quality ratio deal. This suit really deserves his place in top 10 list. Its T/R fabric (rayon and polyester) makes it super-comfortable and durable. The set consists of classic fit jacket, vest and flat-front pants. The jacket is single breasted with a two button closure and has a notch lapel. It has characteristic dual side vents, thus making it look serious and formal. The flat front pants have an unfinished length and can be adjusted according to your preferences. There are two choices for the waistcoat: the first is a five-button single breasted vest with three pockets and the second choice is an eight-button double-breasted vest with two pockets. Whichever you choose, will finish the three-piece set lovely. Serving as an excellent example of a classic suit, this suit is great for business occasions and formal events. Besides, the price is more than affordable for a three-piece suit. You will be amazed by the deal and the quality it brings. This suit is an addition to the Salvatore Exte Classic Fit Suit. The fit is modern and is considered to be something between the classic and the slim fit. The jacket is still with a two-button closure and has a notch lapel. The difference is the center vent and the additional pocket. The vest is breasted and has seven buttons, with an adjustable belt to the back of the vest. These changes give more power compared with the classic version, making it more suitable for meetings and business occasions. I really like this suit and strongly prefer the modern fit. However, it’s all up to the event and the image you want to present. A fine example of a slim-fit suit. Material is made of 100% wool. 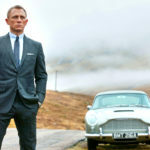 The jacket has a two-button closure and has a notch lapel. The pants are not hemmed, which means that you have to have them tailored. The suit is excellent for business meetings, interviews, or wedding-related events. You will receive plenty of compliments for the choice and will definitely stand you out from the rest. Keep in mind that the suit is slim fitted and is most preferable for people that are slightly skinnier. Calvin Klein can (quite often) offer low-cost and affordable suits with exceptional quality. This one is no exception! This is one of the best selling suits online. Not surprised, if you compare the price with the quality. It’s made of a very good quality material (70% polyester and 30% viscose). This makes it very comfortable, soft and smooth. The slim fit design makes you look modern and sharp. The jacket has one button closure, which makes you look very stylish. It has a notched lapel and a pretty slim cut on the shoulders. The vest comes in the same color and has four buttons with an adjustable belt in the back. Pants are flat front and middle-waisted, characteristic for the slim fit design. They come unhemmed, which is a good thing. Visit a tailor and hem them to your measurement. The best price per quality deal for me. Perfect for meetings and all types of formal events. The price is a bargain. 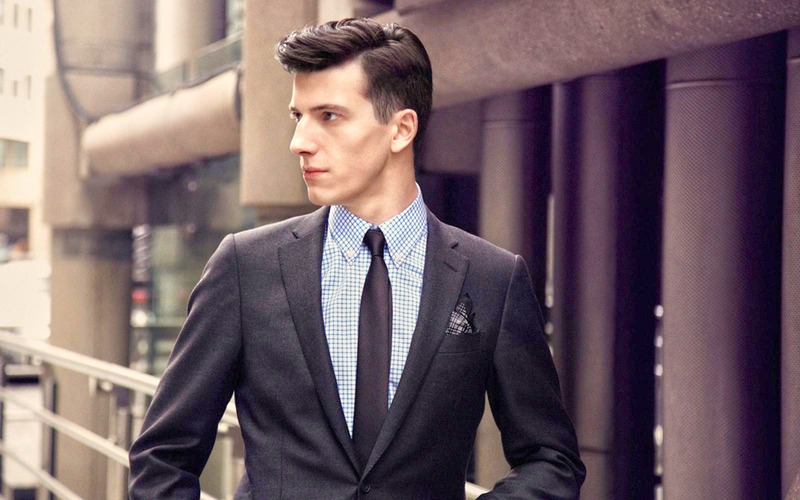 Haggar offers suits of exceptional quality. Their classic fit suit is not an exception. Made of high-quality fabric (69% polyester, 29% viscose and 2% spandex), the suit feels very comfortable and easy to wear. The jacket has a notch lapel with a two-button front closure and one vent at the center. The pants are flat-front with off-seam front pockets. Don’t forget to make them tailored to your length. Personally, I found Haggar’s suits to be a very good deal for the price. The suit itself appears as much more expensive than the actual price, making you look sharp, elegant and stylish. One of the best affordable suits you can count on. 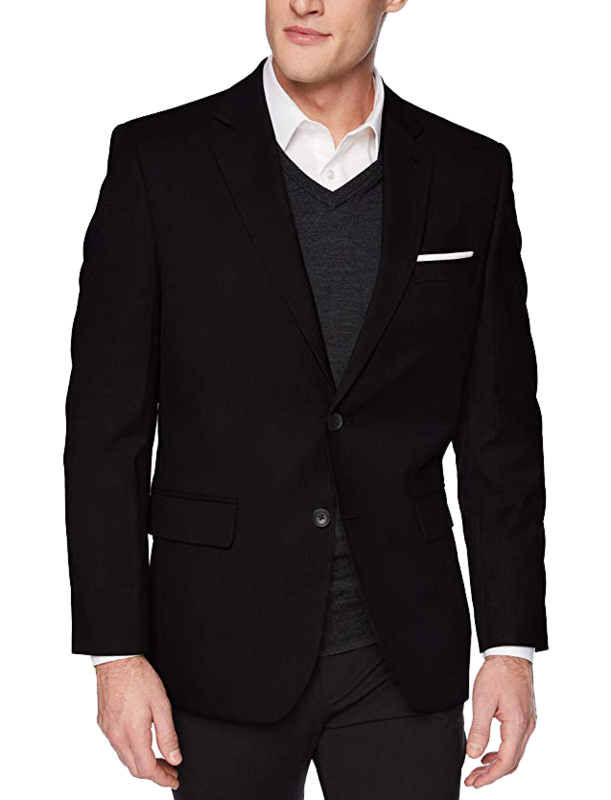 Kenneth Cole’s Reaction slim fit suit is made of very smooth and comfortable material (75% polyester, 23% rayon and 2% spandex). The notch lapel jacket has a two-button closure and double side vent. Pants come in a drop of 7 inches until the jacket size of 46. Then comes a standard drop of 6 inches until a jacket size of 50. Overall, it’s a great suit for the price. I recommend this suit for almost all formal events or as an everyday job clothing. I will rely on the suit for business presentations, too. However, will not choose it for a date or other informal meetings. One more stylish and highly sold suit online. Although it’s officially labeled as a slim suit, I will classify it more as a modern fit. Suit’s material (100% polyester) is highly breathable and light-weight. The cut is noticeable by the comfort it brings on the chest and waist, leaving plenty of room for flexibility. The jacket exhibits a little bit of extra room in the front. It’s a standard two-button closure with a notch lapel. The pants have no pleats, which makes them slimmer and modern looking. They are not hemmed, additional alterations may be needed. That means that you will have to visit a local tailor to have them handled for you. Bring comfort and style in your everyday tasks and formal business events. This suit is really worth the price. Some set options (color and number) can be below 50$, which is a real bargain. At last, but not least is the Premium slim fit suit by P&L. This Italian design two-piece set is made of ultra-soft fabric (65% polyester and 35% rayon-wool). The jacket is comfortable to wear and allows a wide range of motions. It has a two-button closure and a notch lapel. Pants are not hemmed, so you can customize the length to your measurement. This is a really affordable suit, perfect for your everyday office wear. It’s great for weddings or other formal events, too. However, I will not wear this suit on informal events or on a date. 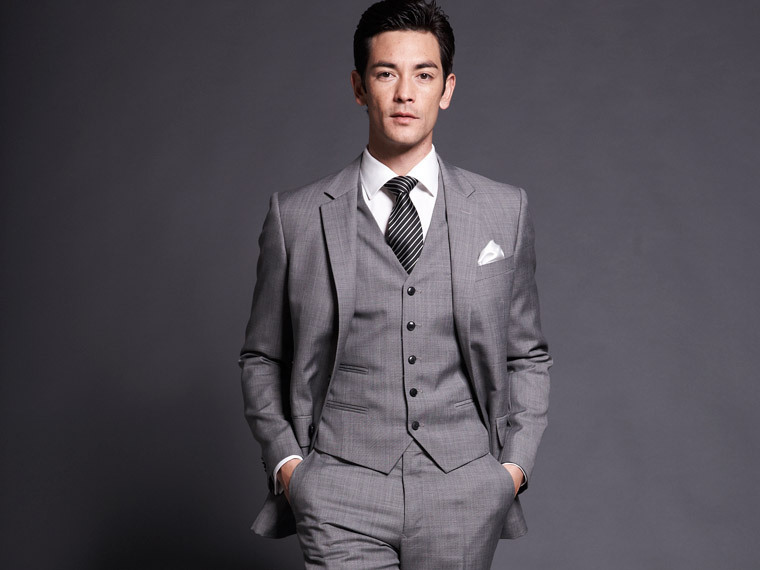 Calvin Klein makes a classic, versatile Michael Grey suit. It comes in below $300 yet looks a lot more expensive. It has two buttons and side vents. Wear it with black or tan shoes and a white shirt, and you’re good to go. Good for: This light grey suit works really well at the office. It wouldn’t look out of place at a wedding, either. Zara sells fast-fashion suits at a very affordable price. Their ranges are sharp and fashionable and are offered in a variety of colors. Zara suits are modern silhouettes and cut on the slim side. Good for: Anyone looking for cheap but trendy suits who aren’t too worried if they don’t last that long. Amazingly, you can get a great quality wool plaid suit for under $300. DKNY‘s stylish two-buttoned slim fit suit is available on Amazon and represents a true bargain. Good for: Men looking for a narrower cut in the good quality fabric will want one of these. It will take you from the office to a formal evening dinner without a problem. 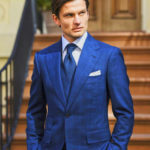 Suitsupply has produced an impressive collection that is divided into three pricing categories. They have a red, purple, and blue line. The blue line has the most affordable suits at around $400. Despite this lower price, you’ll still be getting classic Italian fabrics and well-fitting garments. For instance, the Lazio Grey or Blue suits are available in 100% pure wool, look great on most men and offer excellent value for money. Good for: Men looking for a classic look, made from quality fabrics at an affordable price would do well to consider a suit from this brand. You’ll probably only find a Ted Baker suit for under $500 in the sales, but if you’re patient, you might just get lucky. These timeless, classy suits will give you the edge you’re looking for. Manufactured from wool and other superior fabrics, these suits are more than able to go the distance. Good for: Classic dressers yearning for affordable quality should keep an eye open for these suits. Nordstrom, a top name in menswear, produces a wool/ spandex blended suit that’s highly affordable, and wrinkle-free. Its fully lined jacket and partially lined trousers offer exceptional comfort and a good fit. Nordstrom offers numerous affordable suits. Some include a lot of detailing for a suit in this price range, including eleven pockets and four-button cuffs. The set comes with the trousers unhemmed so that you can get the perfect length. Good for: When you need to look smart yet stay comfortable while traveling, these suits are perfect. You’ll arrive wrinkle free, cool and comfortable. And you’ll still have some cash to spend when you reach your destination. Kenneth Cole offers a line of “New York” slim fit suits that are surprisingly well finished for the price. They come in a whole range of colors, with jackets that are fully lined. Good for: When you’re on a budget and need a selection of affordable suits for work, the Kenneth Cole range is definitely the way to go. Bonobos have a special “Jetsetter” line of suits that are more affordable than their usual lines. For around $500, you’ll get a wool blend suit with just the right amount of stretch, and created by an established brand. The Jetsetter suits come in four basic colors, dark grey, light grey, dark navy, and light navy. Just what your wardrobe needs. Good for: Young and upwardly mobile executives looking for quality, stylish suits for the office will absolutely love Bonobos. The Perry Ellis range has a Slim Fit Suit that is very well priced. It’s made from a polyester, rayon and spandex blend, so the fabric isn’t the best quality. However, it does give the suit a more than adequate amount of stretch and offers reasonable comfort. Plus, it makes the suit crinkle-free, too. Good for: If your budget is tight and you like a slim fit with a modern silhouette. Haggar offers affordable suits for under $500 in a slim cut and classic cut that fits really well. Their suits come in a range of classic colors, like grey, navy, brown or black. Most of the Haggar’s outfits are made from viscose and polyester fabric blends. They have an amazing overall build line, you will love them undoubtedly. Good for: If you like a slim fit suit at a fair price, you will most definitely appreciate the suits from Haggar. Let’s be clear here. I would never recommend you go out and by the cheapest suit you can find. It’s my goal to help you look the best you possibly can. And in that respect, an of-the rack outfit from a bargain store is going to fail on so many levels. But what you can do is find the right balance between quality and budget. Remember, affordable doesn’t necessarily mean you have to sacrifice quality and fit to save a few bucks. Of the two, the fit is most important. You could get away with wearing a suit made from lesser fabrics. Very few people will even notice unless they are an expert. A poorly fitting suit, however, will stick out like a sore thumb. Combine both in one outfit, and you won’t only look sub-par, you’ll feel it, too. 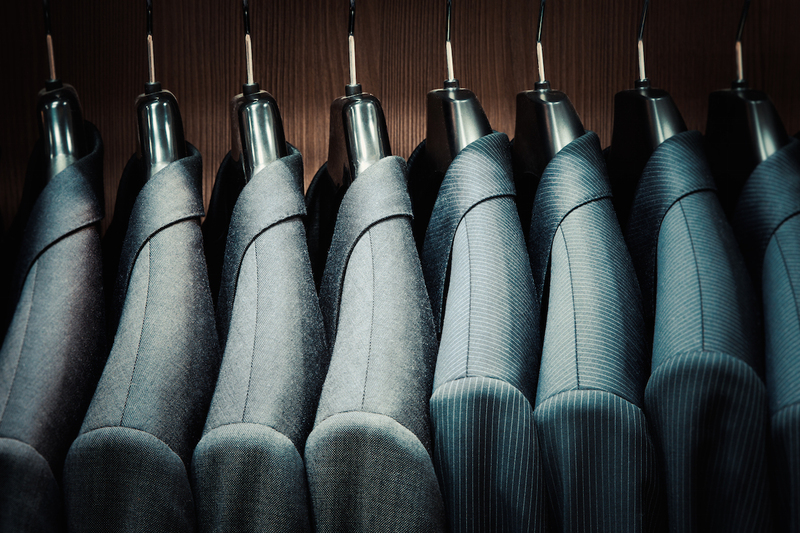 No one can tell you how much you should spend on your suit. But like everything else in life, the more you invest in an item, the better quality you get. Suits are really no different.